Is your skin in need of a mighty boost? 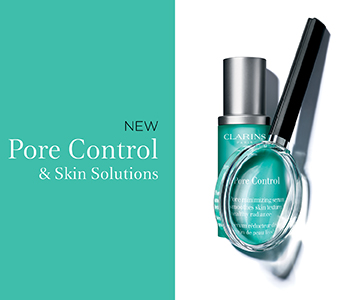 Whether it’s dullness, dehydration or pores that are proving to be the problem, it’s easy to solve any concern with Clarins skincare. Steeped in skincare excellence, each Clarins skincare solution combines powerful plant extracts with years of scientific research to bring your skin the best results. From the iconic Beauty Flash Balm continuing right through with modern day innovations that will help your skin to look photo ready, each Clarins skincare solution will enhance your natural beauty further.